Question: During which phase of the redesign process should website testing take place? If you said, “The title of this blog post already said it - phase six!” you just fell into our trap – testing isn’t a phase at all! Just like everything else in website redesign, testing isn’t a one-and-done deal. Imagine constructing a building, adding the stairs, the elevators, putting in studs and supports, but never evaluating your materials. ...and the doorknob falls off. Website testing should be an ongoing process (and yes, we did trick you a little by calling it a phase). If all this sounds like another long stretch after months of redesign work, you’re not alone. In the hubbub of visual design and wireframes and branding colors, testing can be a mind-numbing, exhausting process. But what good is a beautiful website if no one can use it? Even worse, what worth does a beautiful website have that doesn’t result in a single conversion? None, in fact – a recent study found that the 91% internet users won’t trust a brand with errors or mistakes on its website, and 88% of users won’t trust a brand with a website that experiences frequent crashes and downtime. Without thorough website testing, you could alienate 9 out of 10 of your website visitors, possibly forever. First things first, put down the keyboard. Prior to final testing, all redesign work on the site should be “finished” (process not a project!) and the content frozen. What you have before you on your screen should be exactly how a new web visitor would experience it. No, “Ehh, we’ll fix this a little later.” If you want to know how it works now, make sure it works, now. Decide the best way for test users to provide feedback or report website errors. Should they e-mail issues as they find them? Fill out an evaluation at the end of their testing experience? Discuss their findings in person? The reporting process can vary as wildly as the testing process itself. 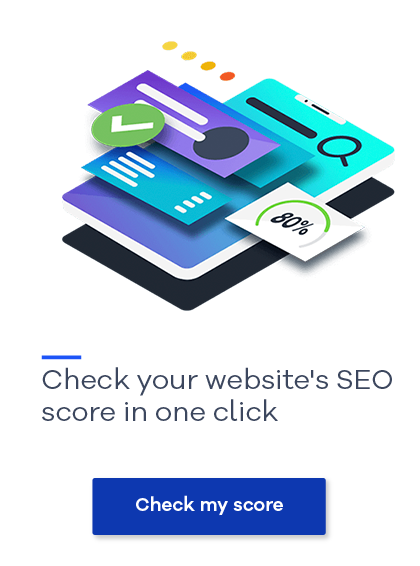 There are several methods of conducting website testing, including casual hallway testing, remote testing, expert testing, DIY testing, desktop testing, mobile testing, and even automated testing. Find the best reporting process for your testing method. Each aspect of the site should be scrutinized with a fine-tooth comb (not a hair comb, a digital comb. You get what we mean. Please leave your work comb in that drawer no one else ever sees). Thoroughly examine content for accuracy, grammar, and spelling, as well as SEO, accessibility, and overall conformance to editorial style guides and web standards. No one is an expert at everything. There’s no way one person would be able to test an entire website accurately. When examining content quality, invite your editorial team to take a look. While you’re examining your code, invite users with disabilities to test your site’s accessibility firsthand. At the same time, technical staff should be testing for server performance, security, valid code, and cross-browser and cross-platform compatibility. Step back and let the experts get to work. What you can’t see has a huge impact on accessibility and SEO. Examine your redesigned website code for the appropriate tags and accessibility attributes, including meta descriptions, titles, alt text, labels, links opening in new windows, etc. This is another fantastic opportunity to get the actual accessibility experts on board. For example, have you attempted to navigate your new website without a mouse? Are there keyboard traps where you can’t leave one section of the website using only a keyboard? Sometimes, what’s not immediately visible on the website can cost the most in the end; in California, website users couldn’t even start an application for health insurance on the state healthcare portal without a mouse – a discrepancy that could’ve been uncovered during site testing. Let’s go back to testing methods. “Hallway testing” is literally that – grabbing random people in the hallway and asking them to walk through your website without any prior knowledge or experience. Go grab some coworkers from the break room and offer your internal audience a sneak peek at the progress before going public. Host a group testing session and provide free lunch. Your fellow employees may have more at stake than hired user testers and offer a contrasting perspective. If employees are involved and feel more invested in their website, that can lead to more energy (and potential budget) towards updates you may have in mind later. The more eyes, the better! After completing testing and examining feedback, draft a punch list of outstanding items to be addressed by the redesign team. Most importantly, clearly assign responsibilities for each change. Know who is responsible for making necessary content edits, who will be taking care of that image that won’t optimize for mobile on the homepage, etc. Don’t leave anything to chance, and meticulously check back through all completed edits one last time. Now, you’re ready for the final website redesign phase – launch! Can't get enough of website redesign? 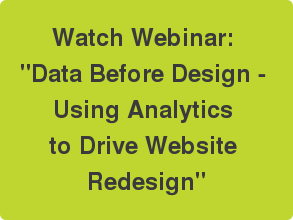 Download the on-demand recording of our most recent website redesign webinar, "Data Before Design - Using Analytics to Drive Website Redesign."